LA-based quintet Grouplove dropped a new video today for their song, “Remember That Night.” The colorful video depicts the band in a 90’s esque stage production which begins to lose its grip on reality. It was directed by Kylie Schiff and Olivia Malone. “This video, much like the song, is an exploration and celebration of how powerful and vulnerable a woman is,” says co-frontperson Hannah Hooper. The lyrics paint a picture of childhood memories present in a person’s subconscious, “Yeah, it felt so right, just you and I. Like this is something out of a dream. Since you been gone, don’t know what I’ve done. You’re just something like a memory.” “Remember That Night” appears on the band’s latest full album, Big Mess. You can check out the mxdwn review for Big Mess here. 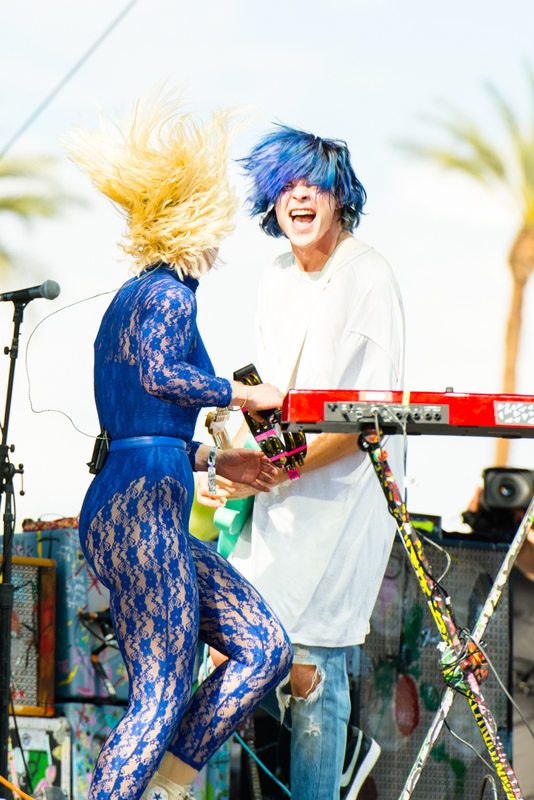 Also, don’t miss Grouplove on their current tour with Imagine Dragons.